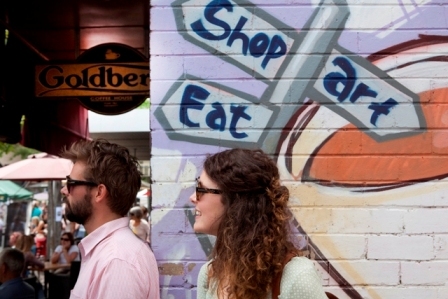 Newcastle is one of Australia's oldest and most interesting cities. Containing a quirky blend of new and old architecture, a rich indigenous history, a working harbour (currently the largest coal exporter in the world) and fabulous beaches; Newcastle is known as unique and eclectic. The land and waters of Newcastle are acknowledged as the country of the Awabakal and Worimi peoples, whose culture is celebrated in community events, place naming, signage and artworks. 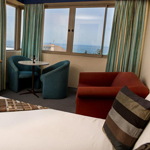 Noah's on the Beach is situated directly opposite spectacular Newcastle Beach and is Newcastle's only Beachfront Hotel. Within minutes of the CBD, harbour and city shopping, Quality Hotel Noah's on the Beach is the ideal venue. Conference rates are available for this venue. City Side Room $160 per night, Harbour View Room $175 per night, Ocean View Room $195 per night. 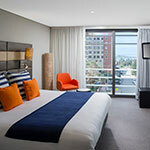 Newcastle Beach Hotel is located in the ever evolving, historical east end of Newcastle, just four minutes walk (300m) from the conference venue and walking distance to two stunning beaches, Newcastle's hustling foreshore and boardwalk restaurants. They have five styles of quiet, comfortable rooms to choose from to suit your needs and budget. Only four minutes walk from the conference venue (350m), you can relax in 4-star oceanside comfort at Novotel Newcastle Beach hotel. Stylish contemporary decor and large windows make your room a calm retreat for work or pleasure. A surf or a beachfront jog followed by a delicious buffet breakfast at airy, stylish Bistro Dalby at Novotel get your day off to a fresh start. Mercure Newcastle Airport offers stylish, contemporary accommodation with an unrivalled airport location. Matched with our welcoming professional service, this makes us the perfect hotel for the discerning business traveller, family or if you need a rest between flights. Conveniently located just 300m from Newcastle Airport domestic terminal at Williamtown, only 27km from Newcastle City and 32km from the picturesque Nelson Bay, Mercure Newcastle airport is a great place to stay. Our family rooms comprise of 1 king bed and 2 twin beds, with a seating area containing a lounge with coffee table. A modern gym, saturated by natural light, is available for all guests. Our much loved Mach One Restaurant and Bar uses seasonal, wholesome produce, locally sourced and is available for breakfast, lunch and dinner. 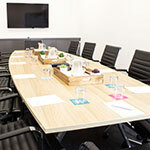 For guests looking to host a meeting, conference or event, Mercure Newcastle has purpose built conference rooms which can cater for up to150 people. Boasting a private pre and post event space and bar – it is the perfect place to meet. Located within 5 minutes’ walk away from the Hunter Street Campus, Ibis Newcastle offers comfortable accommodation in a convenient location. Onsite relax in our restaurant and bar or take a quick stroll to The Honeysuckle dining and entertainment precinct Is just a 5 minute walk away. Located right in the centre of town and three minutes walk from the conference venue (350m), this friendly spot is perfect for those looking for affordable accommodation. The hostel provides guests with a choice of twin/double and multi-share rooms. Facilities include internet, pool table, BBQ and modern amenities. 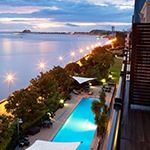 Rydges Newcastle, with views over the harbour's rippling waters. Our dedicated Conference & Events Team is on hand to help arrange everything from small boardroom meetings through to lavish conference dinners for up to 160 guests in the ballroom. This all-suite hotel offers the ideal place to connect with colleagues, students or business clients, providing flexible Newcastle function venues, many with impressive harbourside views. Our experienced staff will ensure that your event runs smoothly, be it a leadership seminar, corporate dinner or a social celebration. There are lots of great places to eat and things to do and see in Newcastle. Useful information to help get to know Newcastle, for people thinking about coming to the University of Newcastle, Australia to work, study or visit.